Happy Mother’s Day gapmuse moms and fans! Thought I would republish this post, which is just as relevant today as it was last year and happens to be one of our 3rd most popular blog posts. 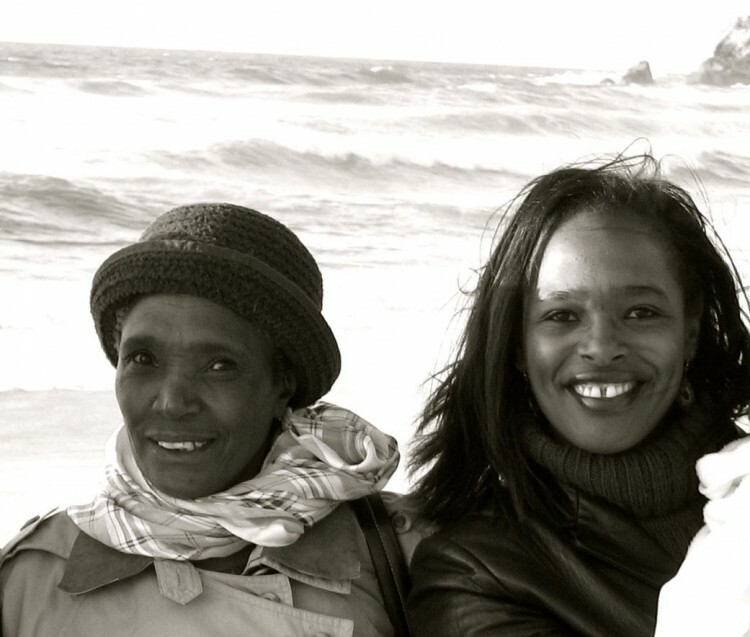 Today, I not only honor and celebrate my mother, but also, my older sister who has inspired and loved me unconditionally almost as much as my mother. She reminds me everyday what it means to be an independent, self-sufficient, strong, selfless, empathetic, and kind woman and mother. Happy Mother’s Day to a phenomenal woman! My older sister and I.
I hope that you will enjoy this post as much as you did last year. And if it’s your first time to read it, I hope that these lessons will be as valuable and helpful to you as they have been to me. As I celebrated this past Mothers Day weekend, I couldn’t help but think about my wonderful mother and reflect on what she has meant to me and all the valuable life lessons that she has taught me. Although it’s great that we dedicate one day a year to revere our mothers, I feel compelled to honor my mother all the time because I couldn’t be the wholesome woman I am today without the sacrifices that she made and the continuous nurturing that she gave to me. Love– we have a huge capacity to love. As the 10th of 11 children, you would think that my mother’s love tank would be depleted! Not! Her ability to love me and my siblings equally with zeal and to make us all feel special still amazes me today. Even 12 years later when she had her 11th child, my baby sister, she not only loved her just as much as the rest of us but made sure that I never doubted that I was still her very special child. You see, finding out as a 12-year-old that you’re no longer going to be the baby of the family is no easy task and my mother wisely understood it. Self-Confidence – do not allow anyone to define you. Growing up, my mother always stressed to us that we were not only unique, but also special in our own little way. I never quite understood how much this message would play a vital role in my adult life until some of society pointed out that my gap was somehow an imperfection! Because of the self-love and confidence that my mother had instilled in me, I thought this was the most preposterous thing that I had ever heard and considered the suggestion that I should get rid of it to be unthinkable! I wear it today with a sense of beauty and pride thanks to her wisdom. Strength – you can get through anything. 13 years ago, I watched my mother survive the loss of three young adult children within a 2-year period. Having no children of my own at the time, I could only imagine the pain she felt. I had always heard people say that no parent wants to bury their child but the magnitude of this message did not resonate with me until I became a mother myself. 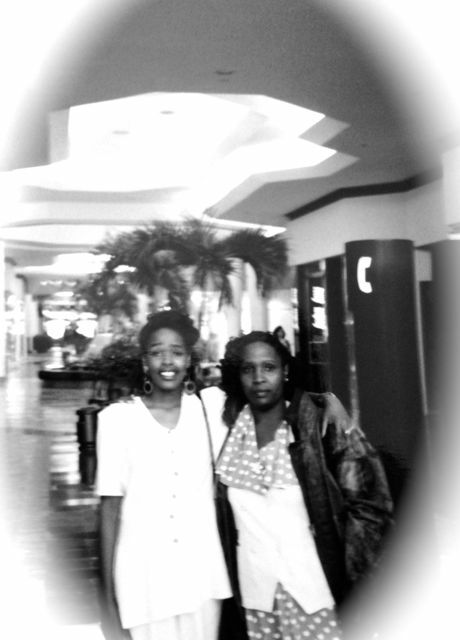 It was only then that I understood the strength of my mother’s spirit. She was not only the glue that held the family together during that difficult time, but also the one person that we leaned on to help us get through the pain. To this day, I cannot quite comprehend how she was able to do it! I am in awe of her strength and selflessness. Self-Discipline – tough love pays off. Growing up in a very strict household is not easy for a young woman, especially a teenager! I can assure you that I was not a fan of my mother’s disciplinarian nature but I can also not deny that my self-discipline and structure in my life today is derived from it. Self-Reliance – do everything you can to take care of yourself and your loved ones. I doubt a day went by that my mom didn’t stress the importance of being self-sufficient and independent. Her belief was that every woman needs to be able to take care of herself and the only way to succeed is to pursue an education and professional career relentlessly. Despite been a stay at home mom, she always earned income from a variety of small home business projects so she could be self-reliant. Perseverance – keep at it and you will prevail. Failure is not an option. My mother never gave up. She believed that there was always a way to achieve your goals no matter the hurdles you face. Wisdom – being perceptive will help you maneuver through life. You can have all the education in the world but without wisdom, you will not be able to navigate through life in a meaningful way. Tolerance – accept people for who they are. Do not judge others just because they don’t conform to your way of life. Spirituality – your pursuit of personal well-being and development is a private affair! Your actions will always speak louder than any of your words. You do not have to demonstrate your beliefs to anyone. The way you live your life and treat others will communicate to the world who you really are. Gratitude – always be thankful for your life regardless of how good or bad. Do not ask why me? Ask why not me? Somewhere in the world, there is someone going through something that might be more tumultuous than you. There’s a reason for everything and with patience life always reveals the answer. So there you have it, lessons from my mom. Do you have any lessons from your mother that you’d like to share? Happy Mother’s Day to all you wonderful mothers out there! I am thankful for all the sacrifices that you make everyday for your children and families. You are appreciated! I loved to read the lessons your mother taught you. I appreciate you sharing this with us. I thought these lessons really are very important and can shape who you are and how you perceive and react to difficult situations. I can see many similarities with the lessons that my mother taught me. I want to share one lesson in particular that she has always demonstrated to me. That is, live life with a positive outlook. Do not always assume the worst and if the worst come… try to find a solution. There is always something you can do; only death does not have a solution. I’ve enjoyed hearing more about how your mom has shaped you – into the well rounded, wise and frankly awesome woman you are!! My mom is a ‘take charge’ kind of woman – if she doesn’t know how to do something she learns how – from cooking, sewing, knitting, bbqing, construction, managing my uncles social work claims and much more. I need to follow her example and learn more! What a great read. We tend to get so caught up in life’s day to day issues. This blog really brought me back to what important in most important, family. Thank you for that!! I just love ua post and its the most inspiring article that I have read in recent years. I just love ua mom, she is so inspiring. The first time I read this post I almost had ‘SOB’ (shortness of breath). It was like I was watching a movie of my teenage years. My Aunt who was my mom (since 3 yrs old) stressed the same values. Your mom is definitely a must see next time I visit. I do not cry easily but when I read about your mom, I sure did shed some tears and had to get out of the house. Thanks Jedi for sharing, it was quite a reminder of who we are and where we have come from. What a beautiful post and great lessons from your mum!